Willow Bend Systems has the IT solutions you need. Maximize business performance with our tailored IT support and services. At Willow Bend Systems, we leverage your existing technology to develop IT solutions that work for you. Willow Bend Systems keeps the application of our managed services simple. Every client is given the same level of service. We offer one plan because it is comprehensive for all businesses. Our remote monitoring and management services are industry-leading and this strategy was put together by our experts who have years of experience. Our fixed monthly, flat fee that will keep you budgeting simple. When you outsource your professional IT services with Stability Networks, we create solutions that drive business productivity while maintaining a stable working environment. Our technology services will not only help your business grow — but will also save you money! With so many products on the market, it can be overwhelming to choose, especially with interoperability as a major factor. Willow Bend Systems lets you streamline the process. 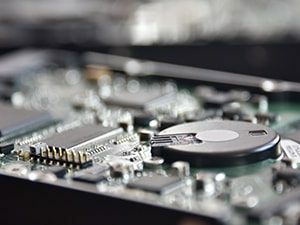 Our knowledgeable team stays on top of innovations and developments, to identify hardware that’s cost-effective, appropriate for your systems, and right for your needs. IP phone systems are designed to provide much more functionality than traditional business phone equipment. Now you can integrate your communications with business applications and technology, to utilize information in more dynamic ways. Willow Bend Systems provides implementation and support for ShoreTel IP business phone systems, a scalable solution for your communication needs. With Willow Bend Systems’ managed services, you will find a comprehensive plan that addresses all your needs. Your budget will become more predictable with our monthly billing structure. Discover predictable costs and predictable results with Willow Bend Systems. Spend Less Time & Money On IT Willow Bend Systems has the IT solutions you need.